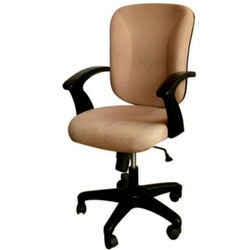 We are a leading Manufacturer & Supplier of Corporate Chairs such as Corporate Chair, Corporate Executive Chair, White Corporate Chair and High Back Corporate Chair from India. 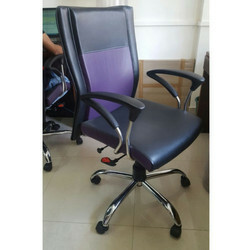 To let patrons have best products, we offer Purple Corporate Chair of different sizes. These chairs are made by experts using best and quality approved material. Also, best finishing tools are used for the manufacturing of these chairs. Eye catchy in look, these chairs are favored by patrons due to offering complete comfort. Multiple wheels embedded thisHigh Back Director Chairis damage resistant and safe from scratches. These chairs are wider. 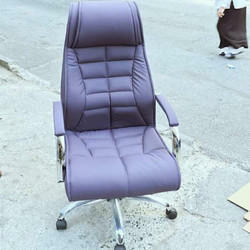 Besides this, these chairs are reliable and widely demanded in official area due to comfortable nature. These chairs compact in size and easier to use. Offered chairs have longer life. To furnish the diverse requirements of our clients in the best possible manner we are involved in offering an extensive range of Modern Corporate Chair. To furnish the diverse requirements of our clients in the best possible manner we are involved in offering an extensive range of Corporate Chair.